The santoku Japanese knife comes from a secular know-how of Japanese cutlery tradition. 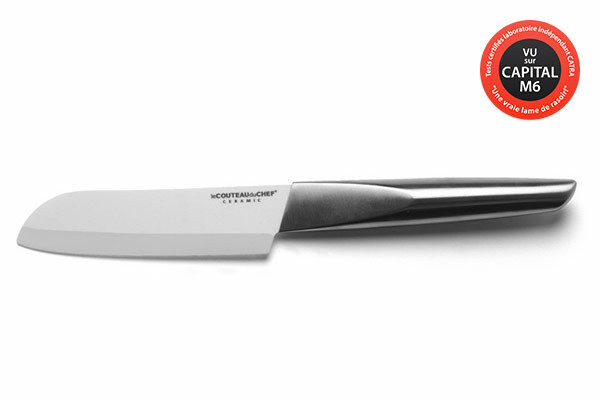 Manufactured with the most famous blade of the land of the rising sun, it can cut all food. 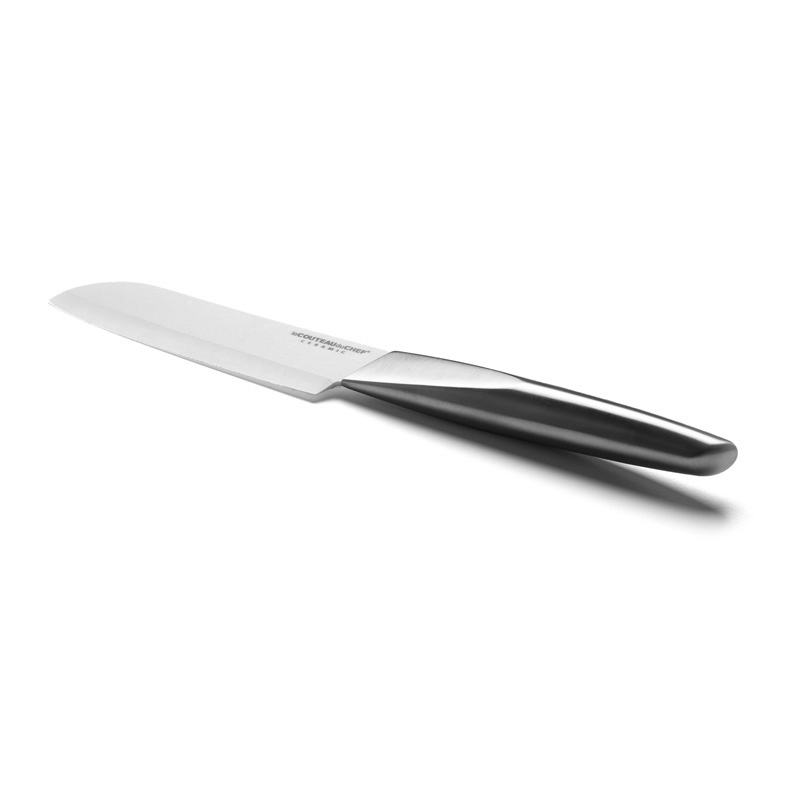 Its stainless steel handle and its ceramic blade make it a high-end kitchen knife. 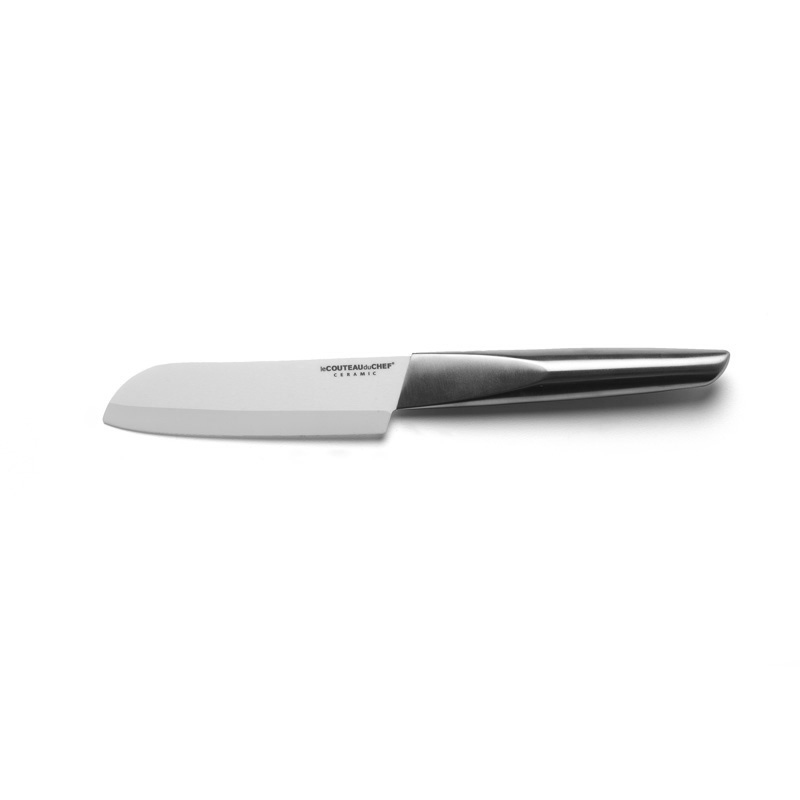 The 13cm ceramic blade of this santoku knife is made of zirconium oxide. This mineral is highly present in the final material. 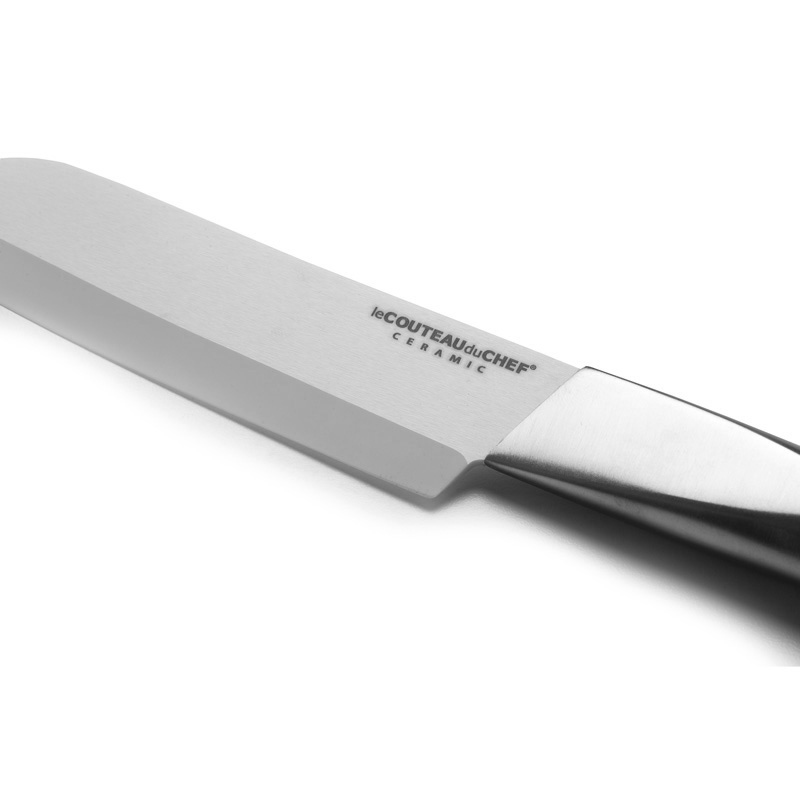 It offers a cutting quality and an unrivalled sharpness to the very hard, robust and amazingly resistant blade. 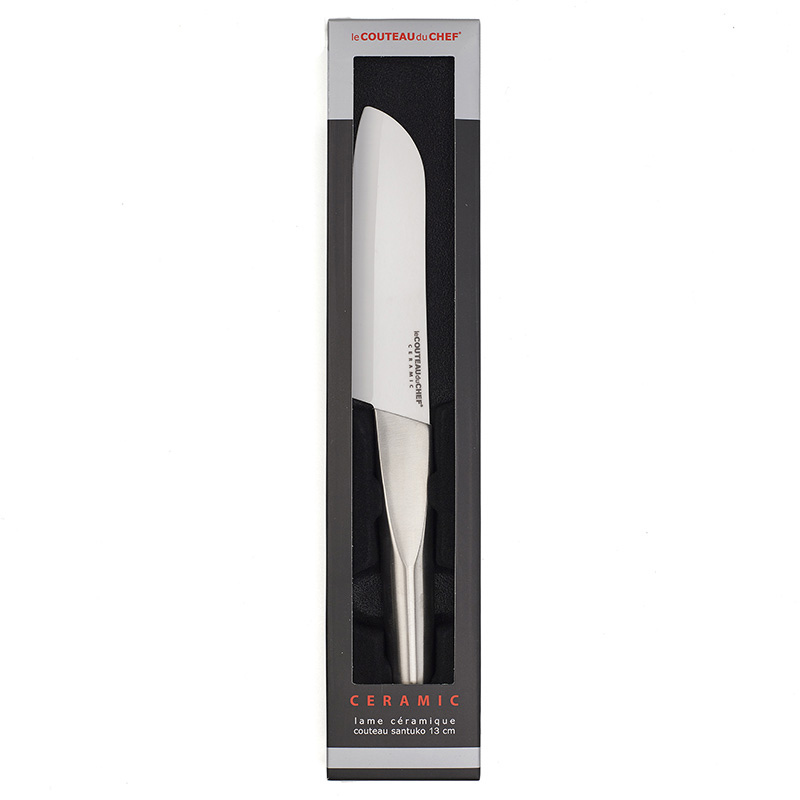 The 13cm santoku ceramic kitchen knife from the Transition range is a must-have kitchen knife.